Sign up for your FREE Easter Egg! 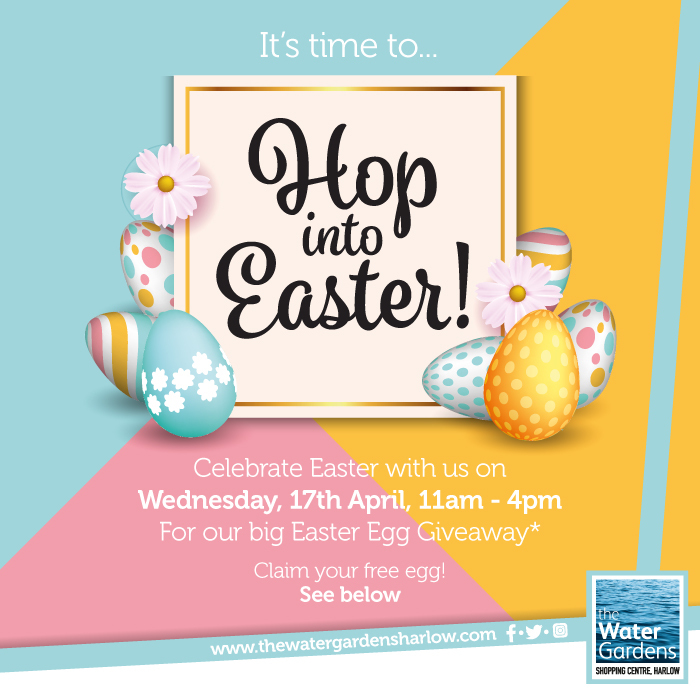 Spring into Easter at the Water Gardens and join us on Wednesday 17th April , for our Big Easter Egg giveaway! Just register here, and show us your email voucher (sent straight to your inbox) to claim your free egg on the day. Eggs will be given out at regular intervals between 11am – 4pm. And while you’re here, don’t forget to pick up your Easter Egg Hunt Trail Map from our friendly promotional team, to get even more*! *Please note: You must agree to receive our emails for us to contact you about this event. You can unsubscribe at any time.